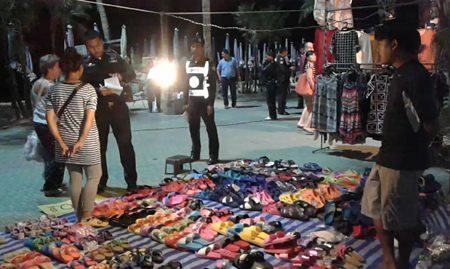 Pattaya’s effort to ban street vendors from over-running last weekend’s Colors of the East festival proved much harder than predicted, with 250 product hawkers swamping the beachfront event and city hall unable to do anything except charge them 500 baht to clean up their mess. 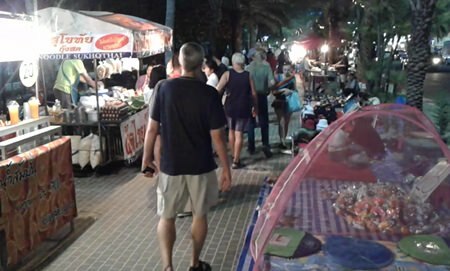 Pattaya’s business community last month had expressed anger over the staging of the Eastern Seaboard tourism event on the beach, noting Chonburi’s governor had banned such events because the city had been unable to control outside vendors, who damaged their beachfront environment and annoyed tourists. City officials, however, vowed that is time would be different, saying that holding Colors of the East was justified because it promoted eastern tourism and had been funded by 3 million baht from the Tourism and Sports Ministry. Prior to the Feb. 25-28 event, Pattaya City Hall held a meeting with street vendors, telling them they could not sell their wares during the festival unless they rented one of the 120 booths. The street sellers had their own plan, however, and as soon as the festival opened for business, a mob of 250 hawkers descended on Beach Road between Soi 6 and Central Road and did as they pleased, infuriating sellers who had paid to rent a booth. Pol. Maj. Gen. Jeerawat Sukontasap, head of city hall’s municipal police squad, showed up with regulatory enforcement officers only to be shouted down by the mob, which refused to leave. 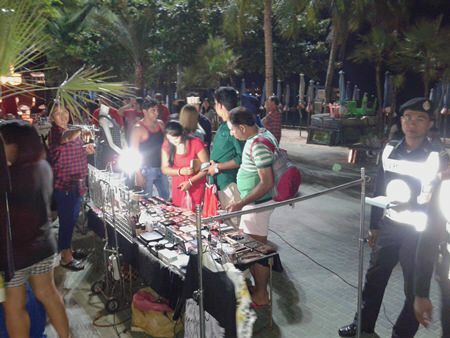 Rather than escalate the situation, Jeerawat compromised, allowing the vendors to continue doing business in the North Pattaya zone for the duration of the event if they paid a 500-baht fee to cover cleanup and environmental repair caused by the festival. The Pattaya Business & Tourism Association, which held two news conferences before the event to clarify their opposition to disorganized beachfront festivals, no doubt will have much to say when Pattaya City Hall tries to organize its next Beach Road event.